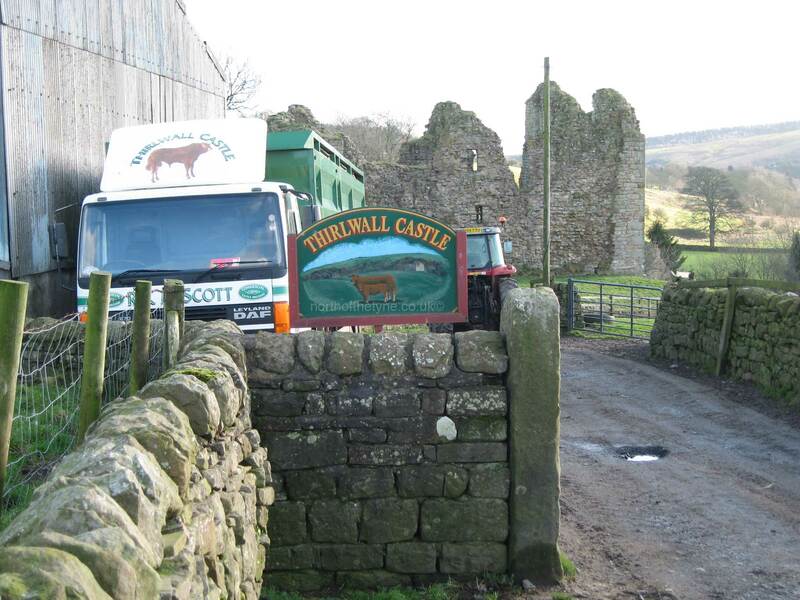 How to get there Park in Thirlwall Castle car park, half way between Greenhead and Longbyre along the B6318. 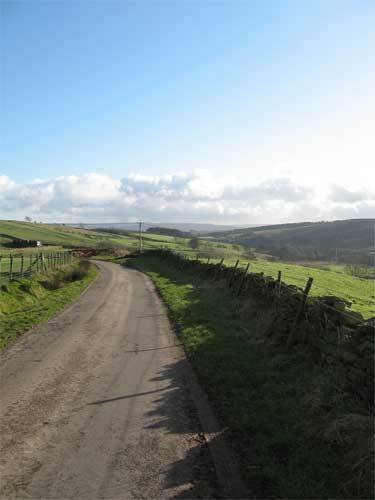 Start from the carpark walk down the road towards Longbyers. 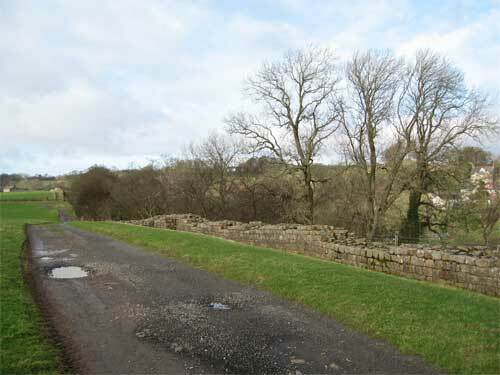 Ignore the Penine Way Stile to the left of the Road and continue for about two hundred yards to a Stile high up on the bank to the left of the road. 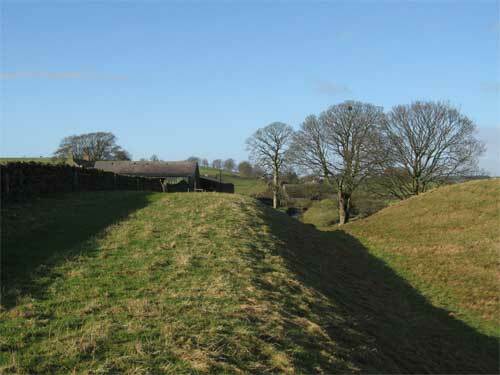 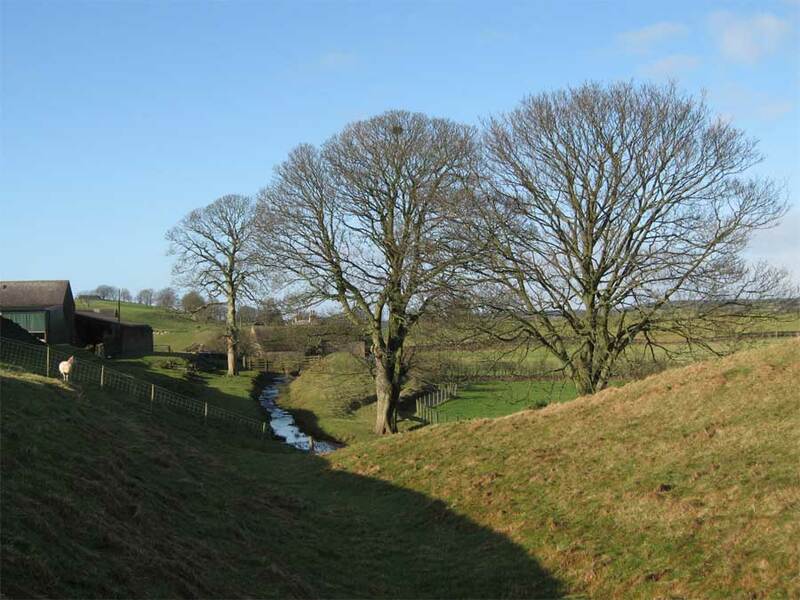 Follow the line of the ditch to Chapel House over various stiles. 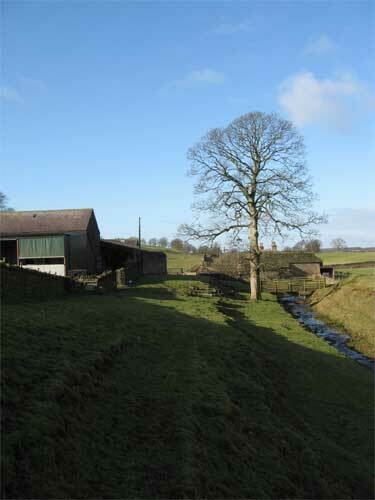 The path continues right over a bridge and through the side of the farmyard. 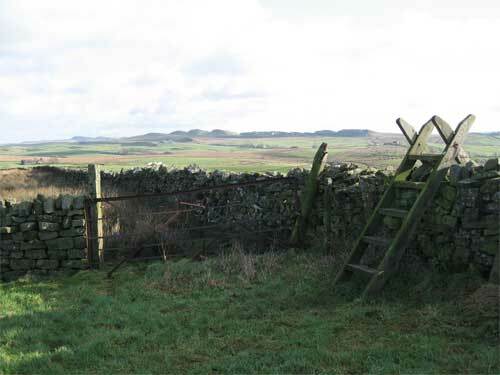 Following a short stretch of road the walk continues over another stile. 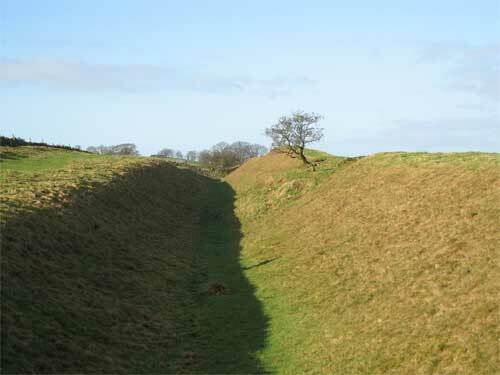 Follow the track into Gap . 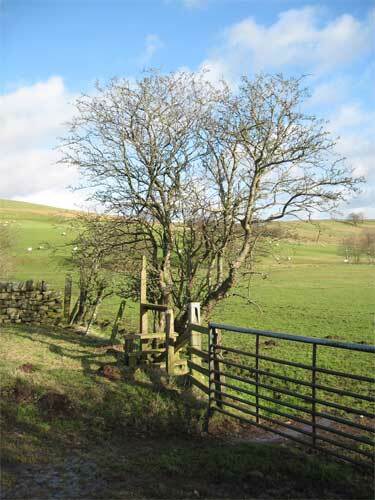 Take the Road right and round to the next stile. 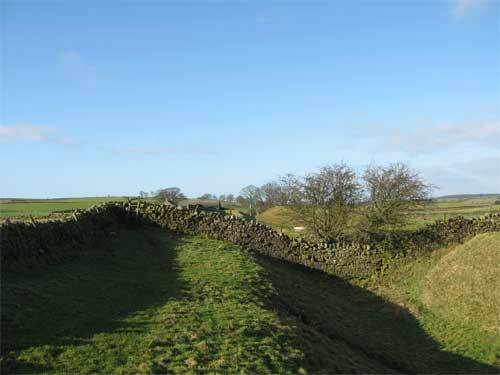 There is now a quite spectacular stretch of the ditch. 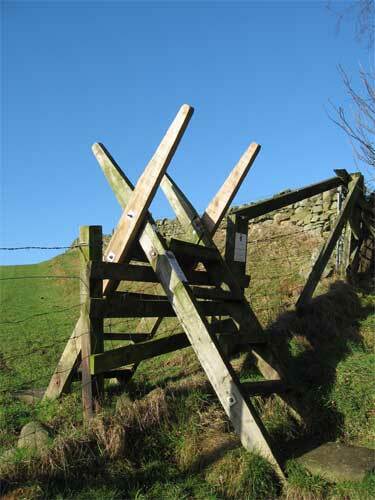 Beyond the gated stile you will come to a minor road. 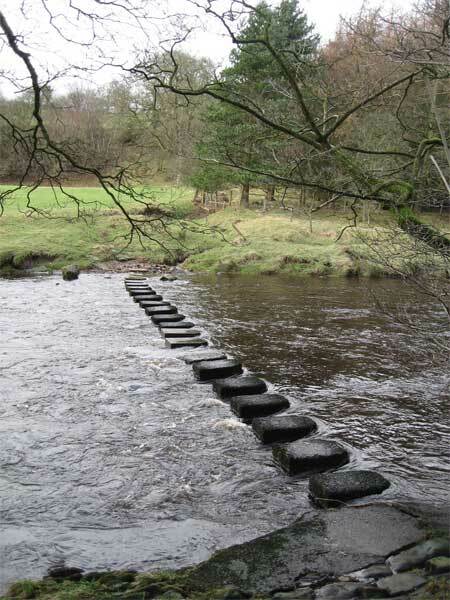 Cross it and continue. 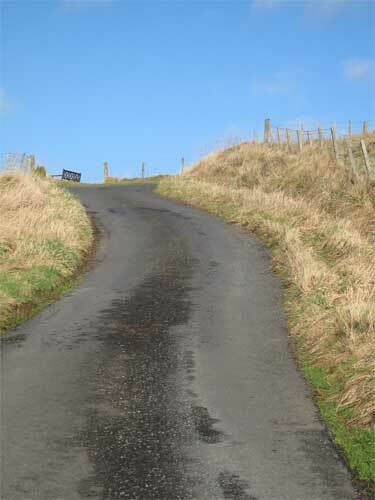 The path goes right towards Crooks. 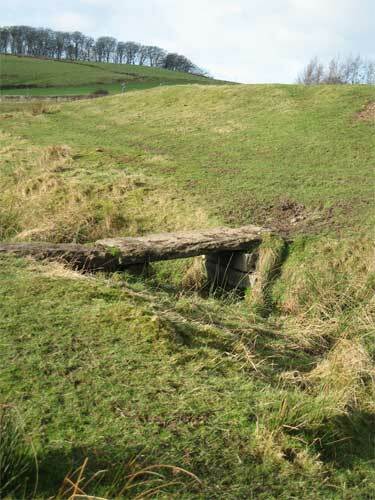 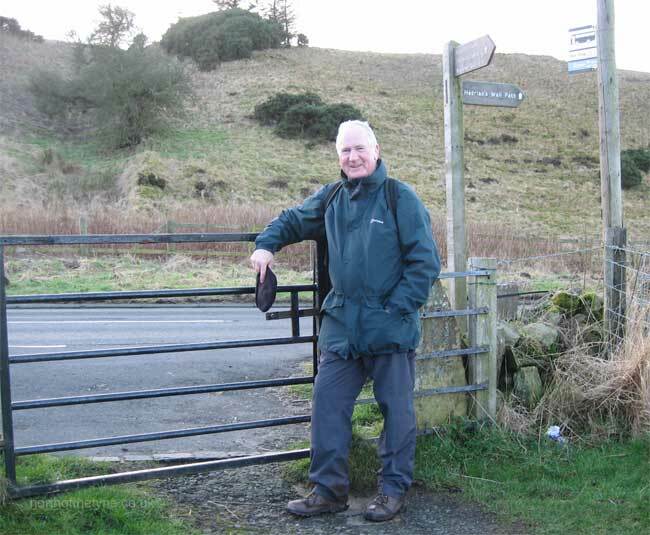 Don't go under the railway line but take the left hand gate down to the Poltross Burn and up again to the Milecastle. 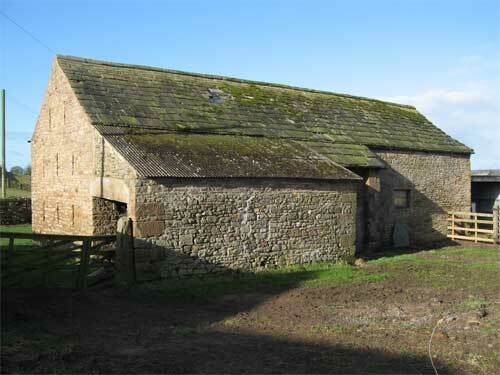 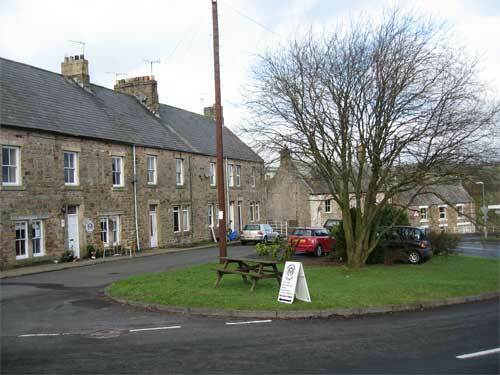 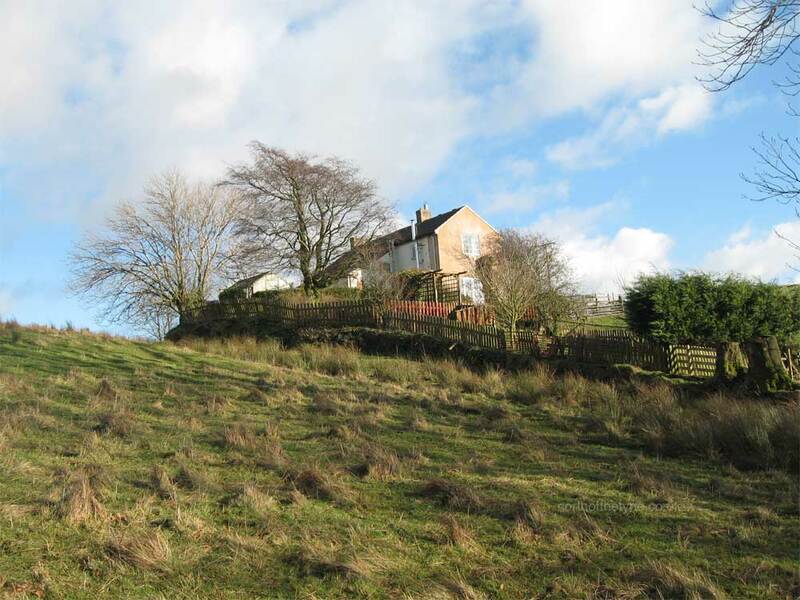 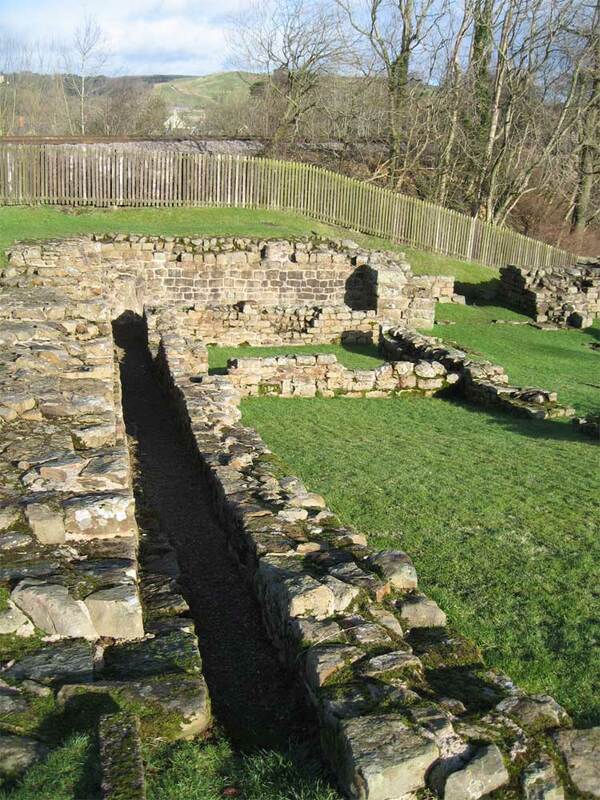 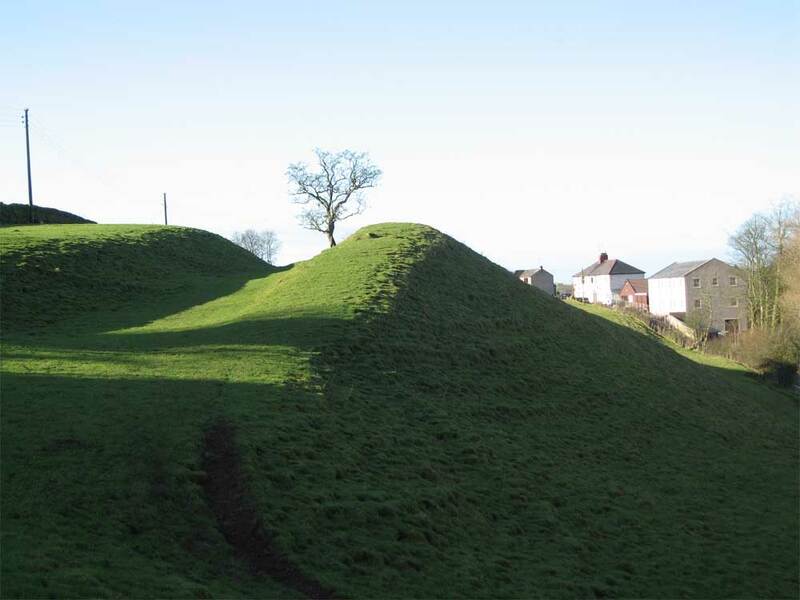 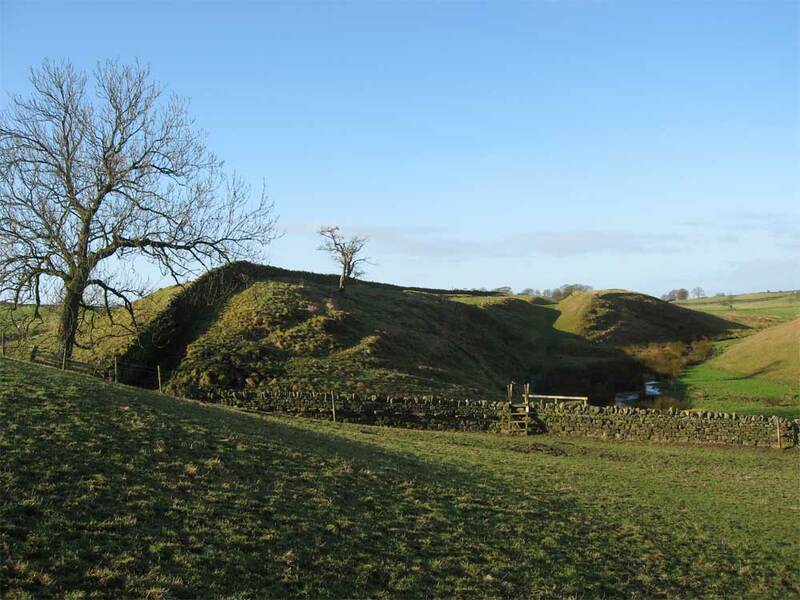 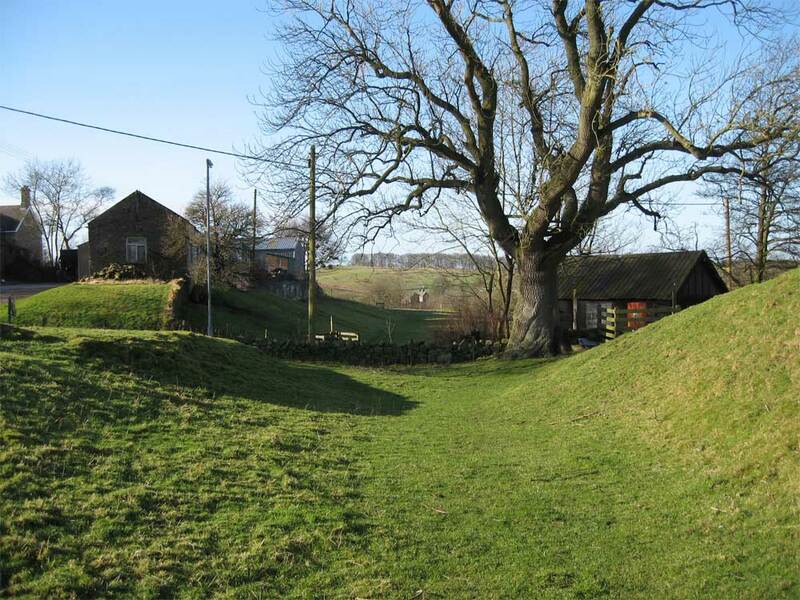 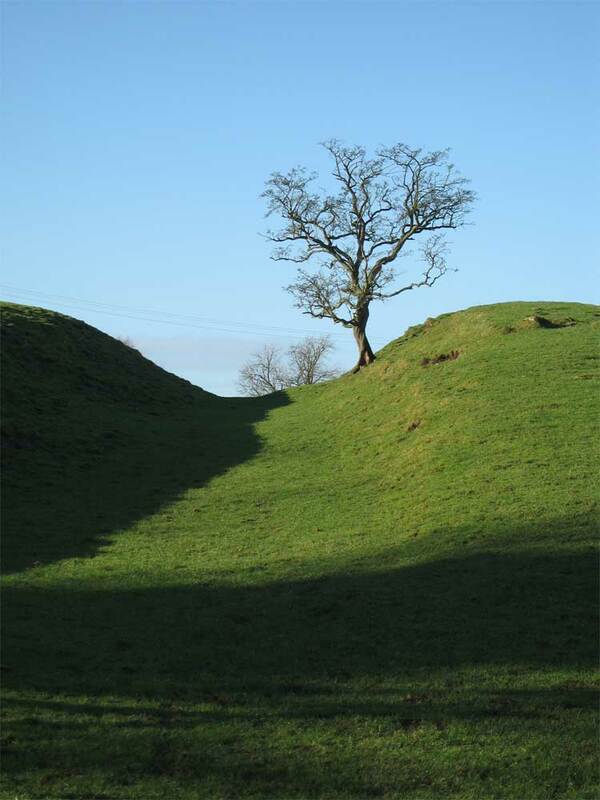 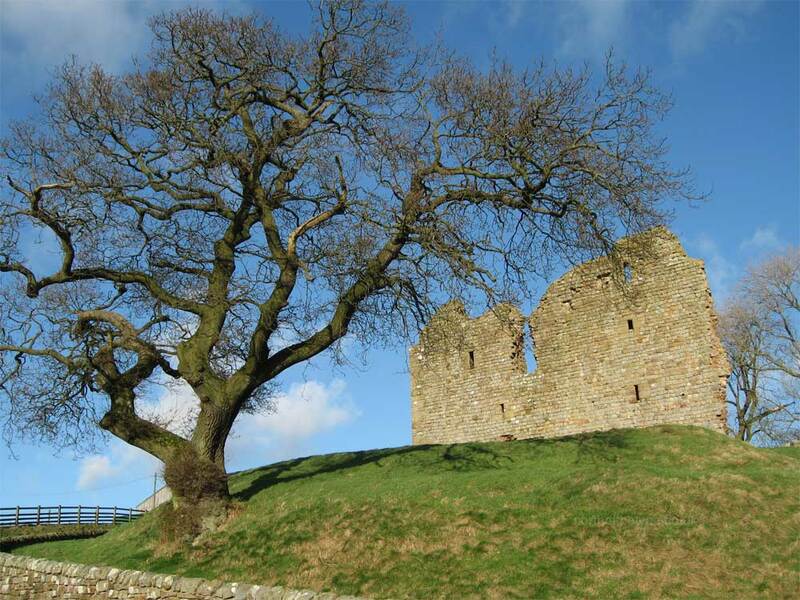 This is Milecastle 48, known locally as "The King's Stables". 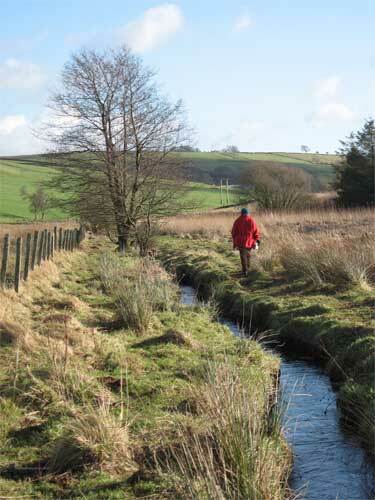 The Poltross Burn marks the Northumberland/Cumbria border. 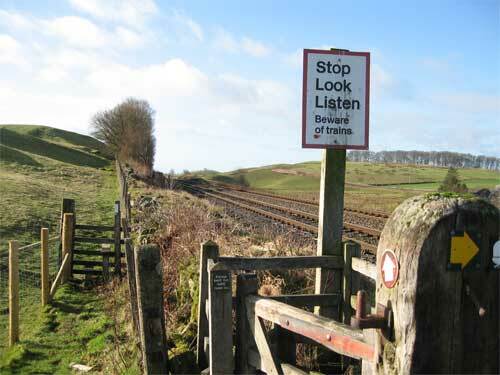 Be careful crossing the main Newcastle/Carlisle railway line. 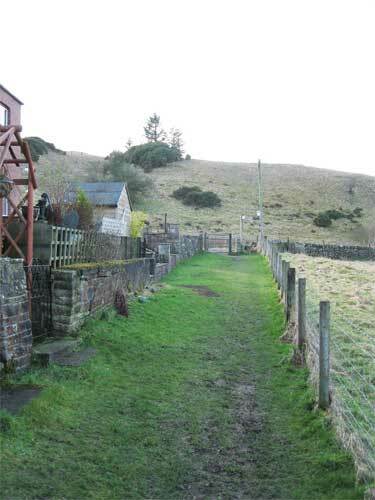 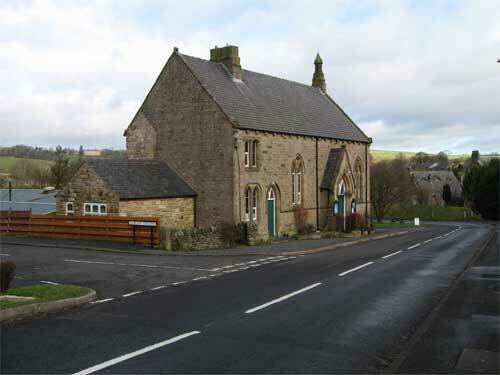 The path from the line leads left across a field, over a slate bridge and to the left of the School building ahead. 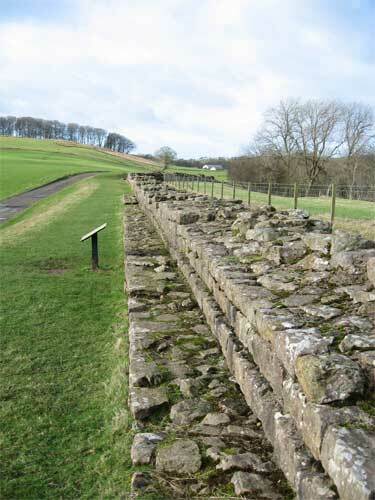 Across the road there is a long section of the Wall worth a look. 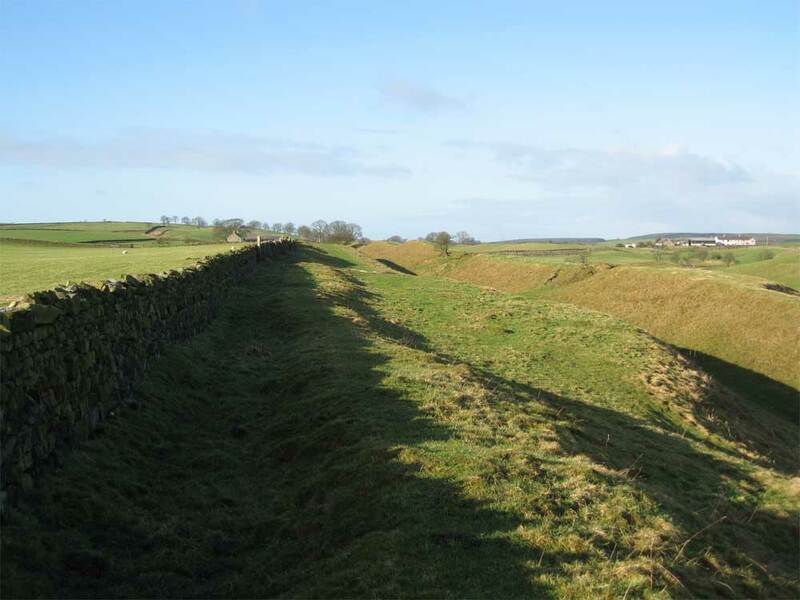 Leaving the wall section, go back to the road and follow it downhill into Gilsland. 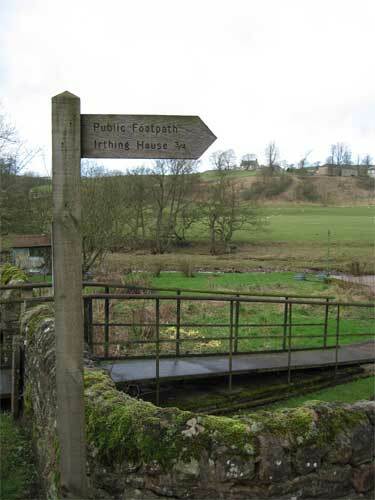 Cross the bridge and opposite the post office take the riverside path to Irthing House. 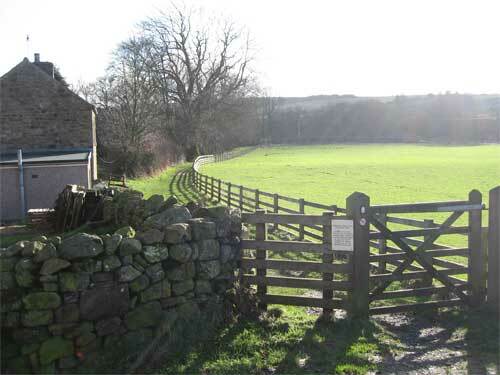 Through the Irthing house grounds, continue on and through the gate on the opposite side of the road. 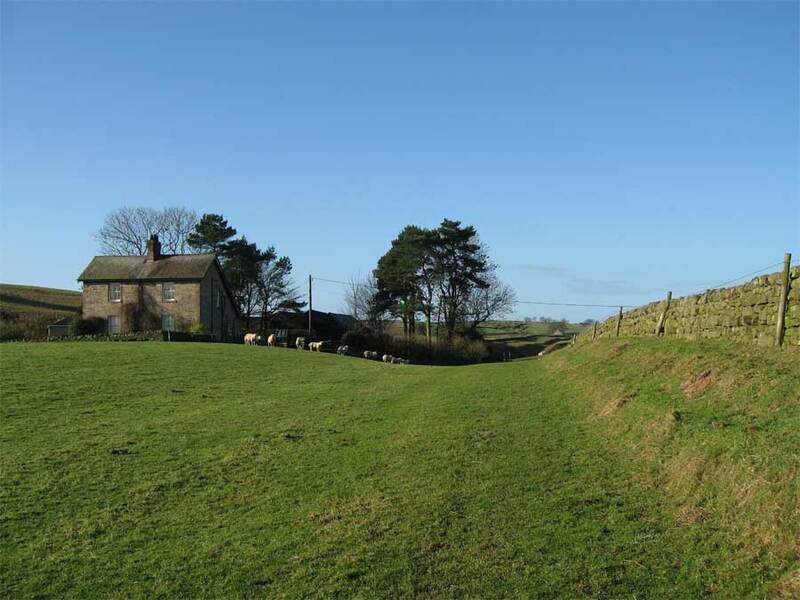 This leads across a field to a country lane. 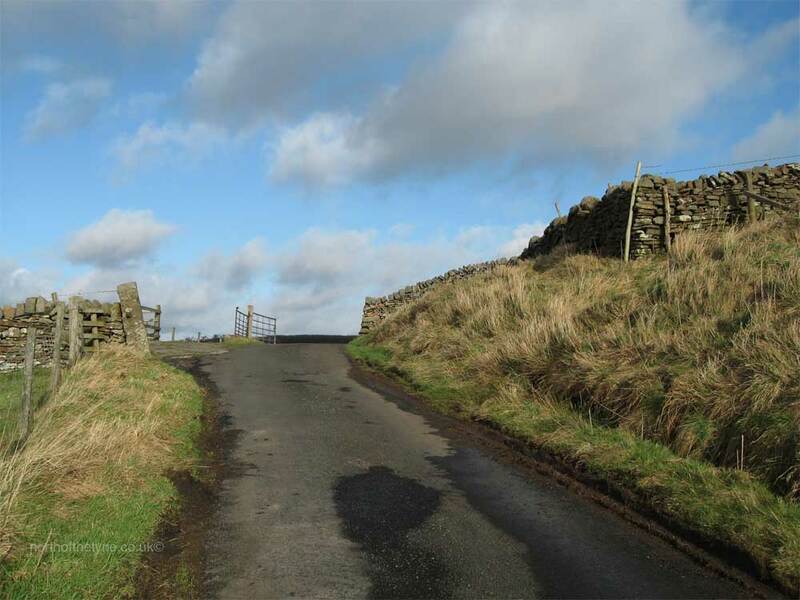 Stay on the lane to a gate on the right, where the signpost shows left to Longbyers 1 1/2 miles, follow the track over Curry's Rigg, across the moor. 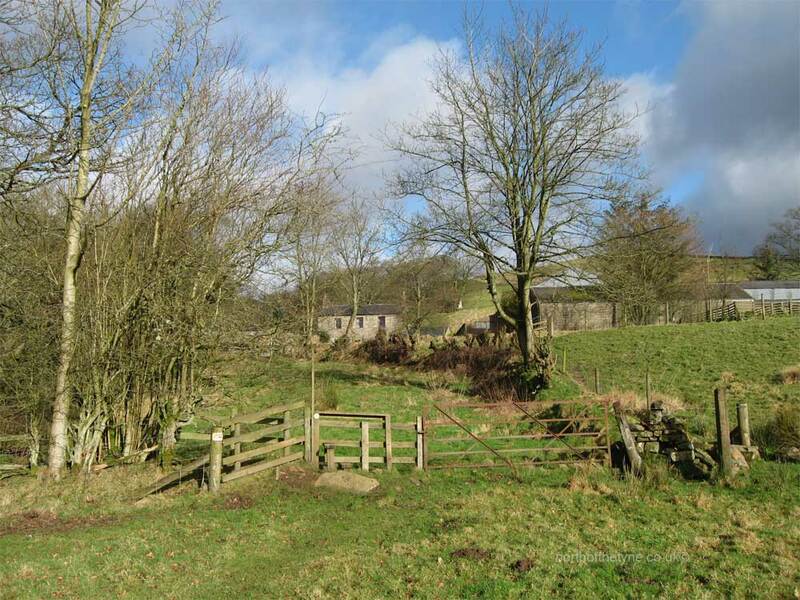 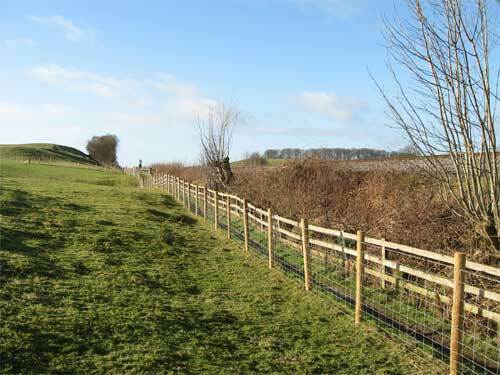 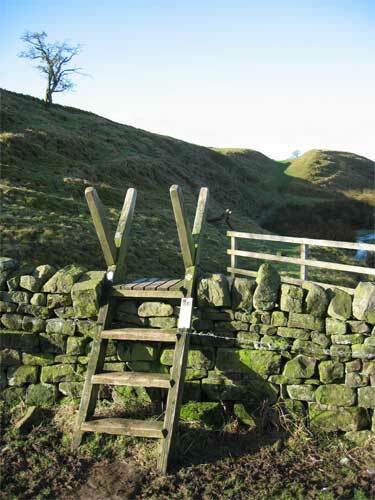 Continue over another stile and drop down to Barron House farm. 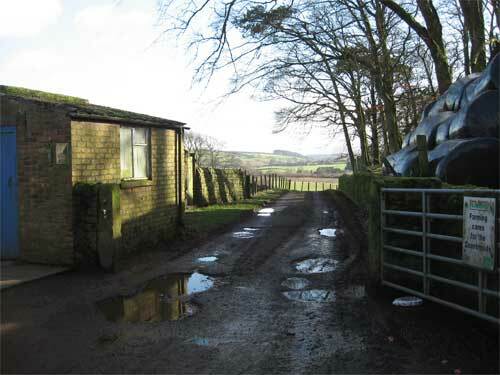 Through the farmyard go down the lane and over the stile left at the bottom bend. 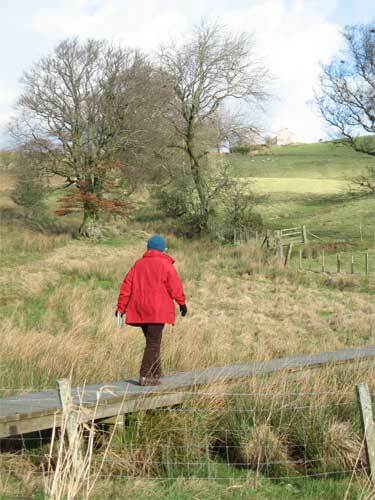 Then cross the field ahead to a bridge. 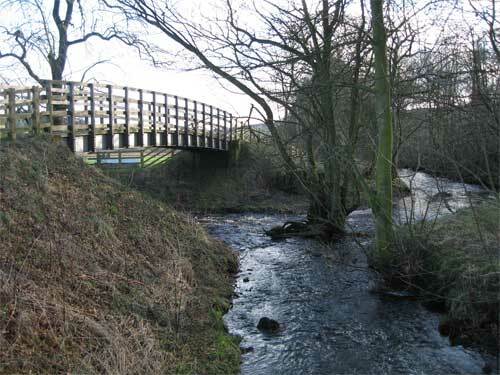 Go over the bridge and follow the Pow Charney Burn left. 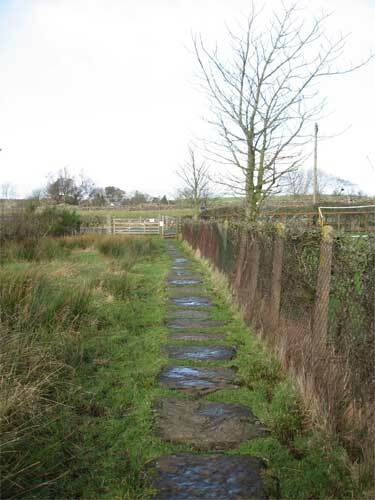 It leads to a railway crossing but continue on the path to the left, parallel to the line. 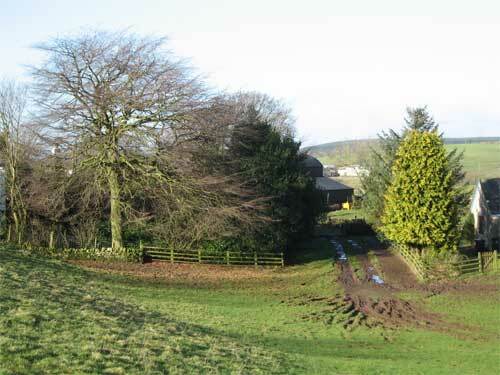 The path climbs up and to the left of Wood House farm. 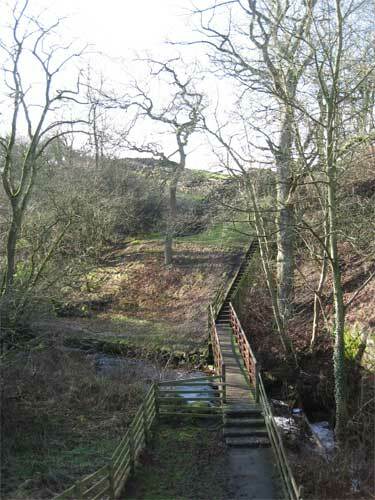 Follow the path left over some wooden bridges and up the hill. 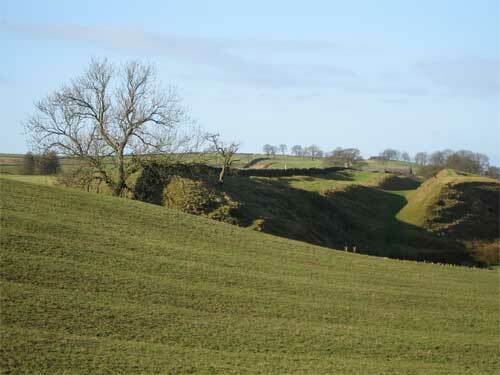 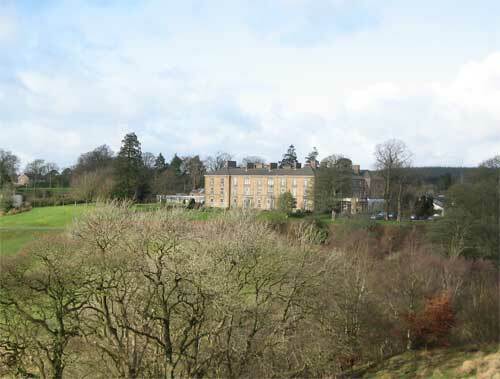 From Wood House take the road south, down to Thirwall Castle. 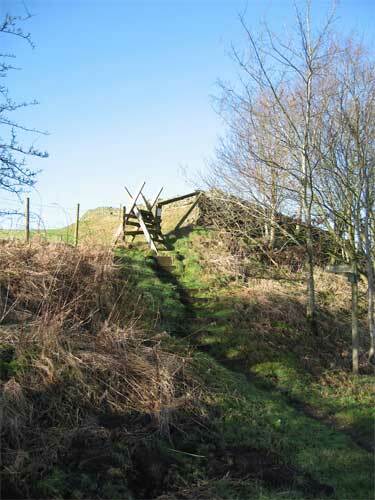 Follow The road past the Castle and take the path through the gate along to where the Tipalt Burn is joined by the Pow Charney Burn. 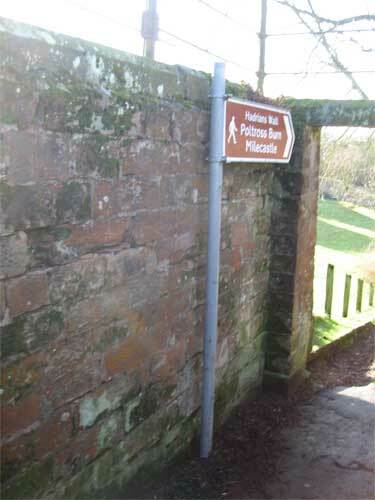 Cross the railway line, taking great care, and walk back to the road and left to the car park. 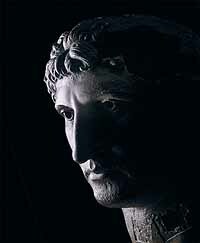 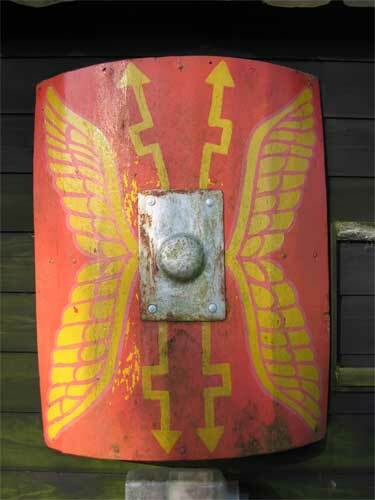 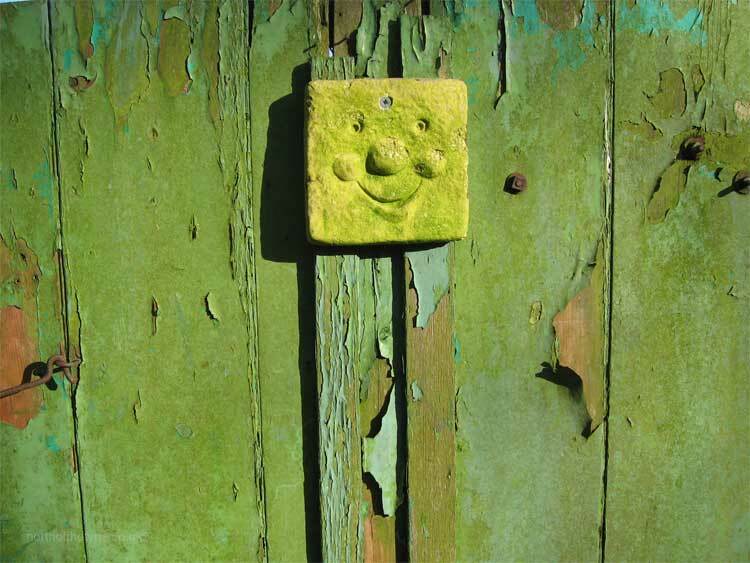 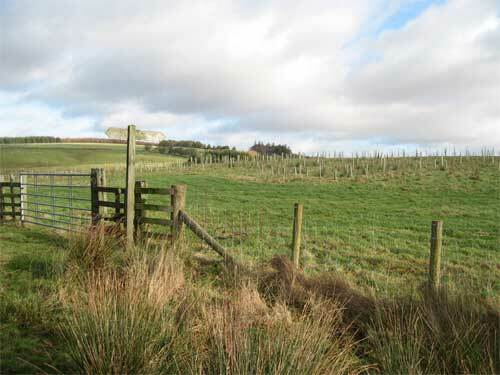 Artwork, Photographs and Site Design are Copyright © 2007 , northofthetyne.co.uk. 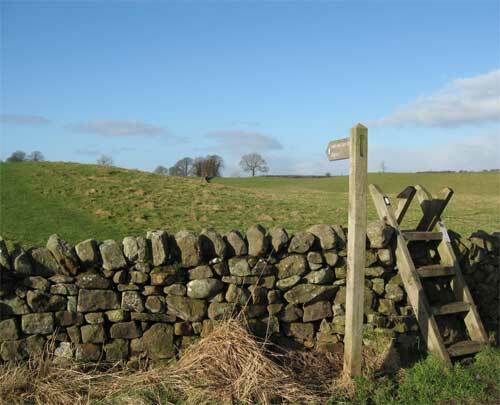 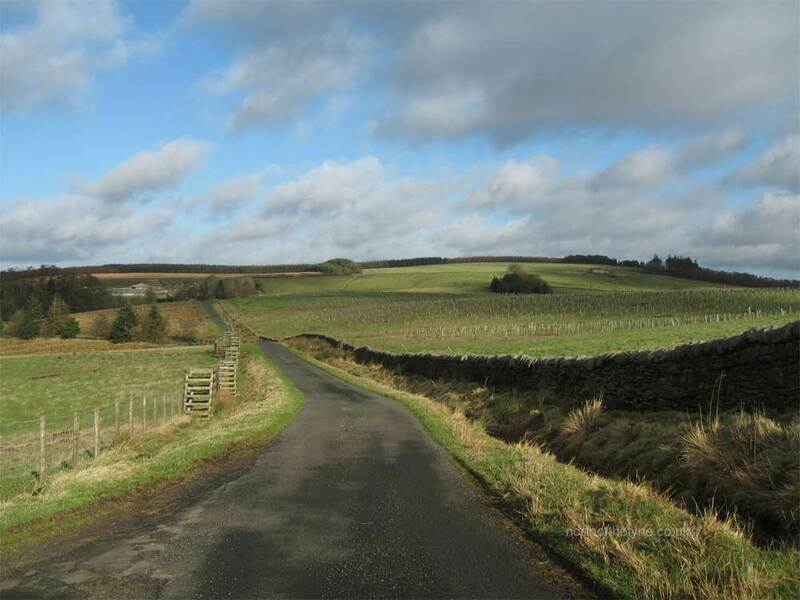 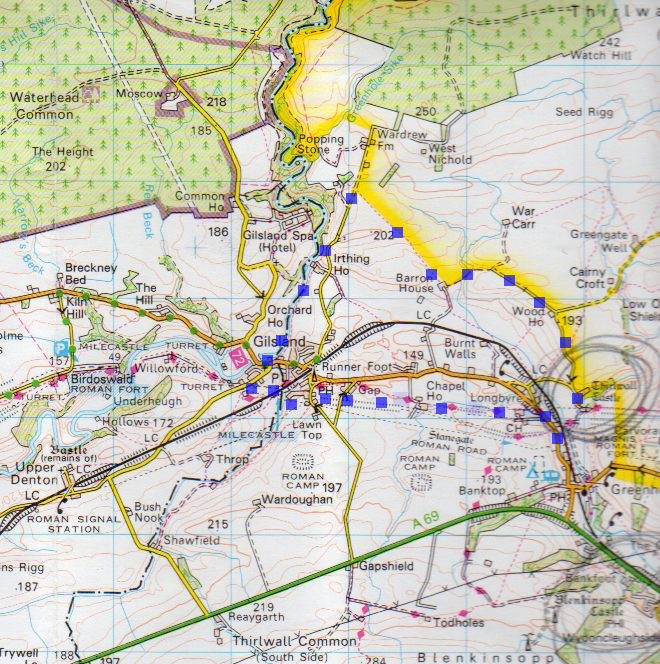 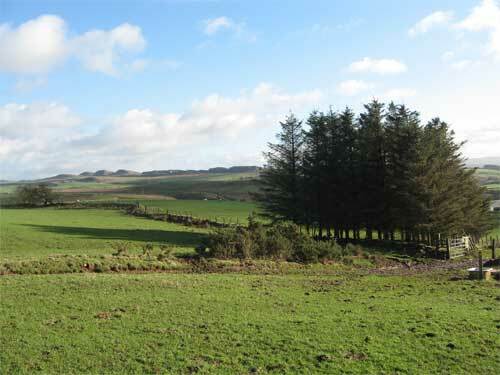 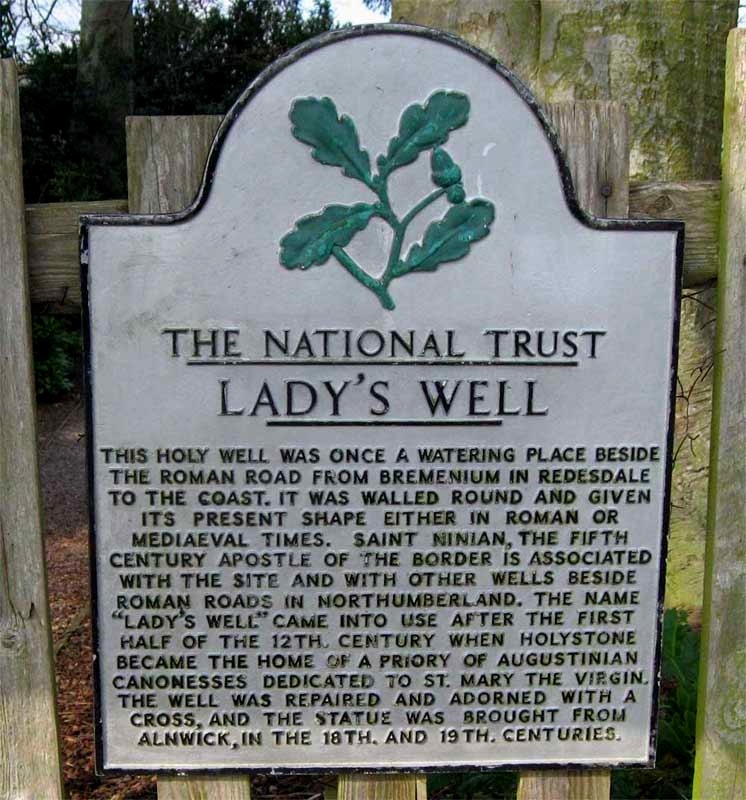 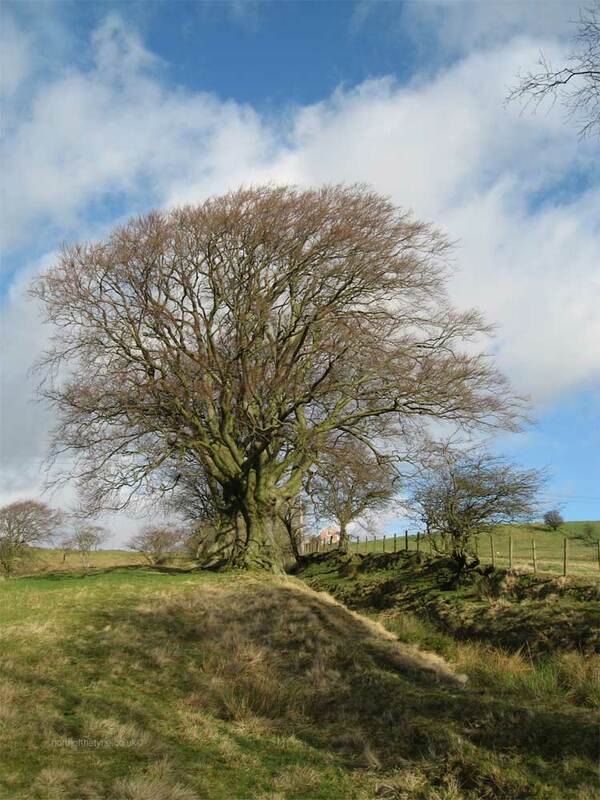 This selection of walks in Northumberland follow recognised public rights of way or permissive paths and should be easy for most people to negotiate: but please remember that wet and winter weather can make paths muddy in places and the summer months produce fresh growth of vegetation - so wear suitable clothing and footwear. 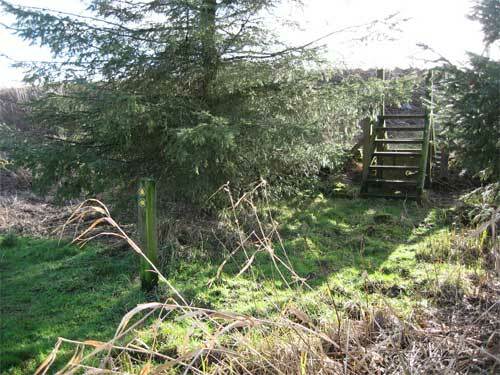 If on any of these walks you find obstructions, or damage to stiles or footbridges which make paths impassible, please report these details as soon as possible to the countryside department of the Local or National Park authority responsible for the area. 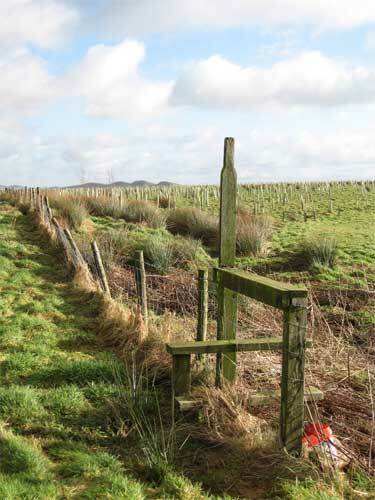 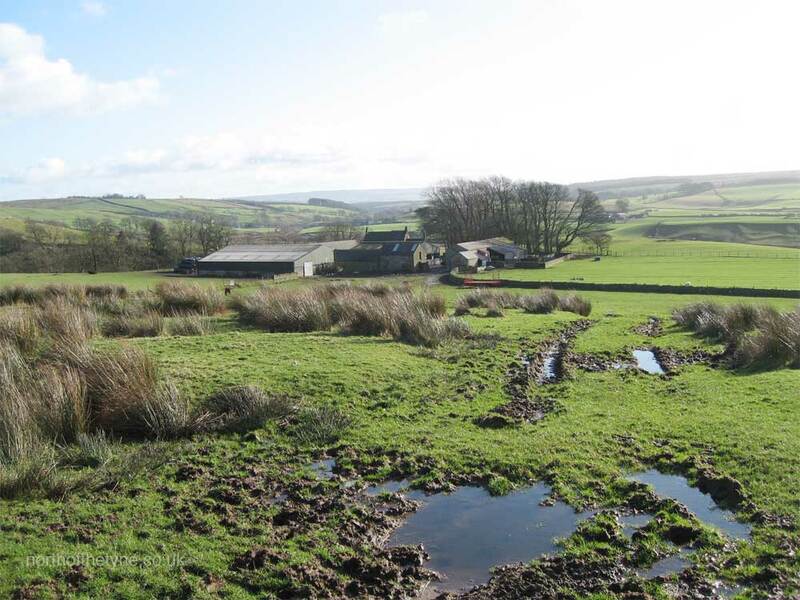 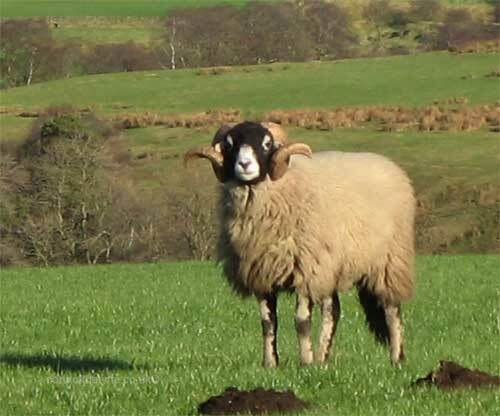 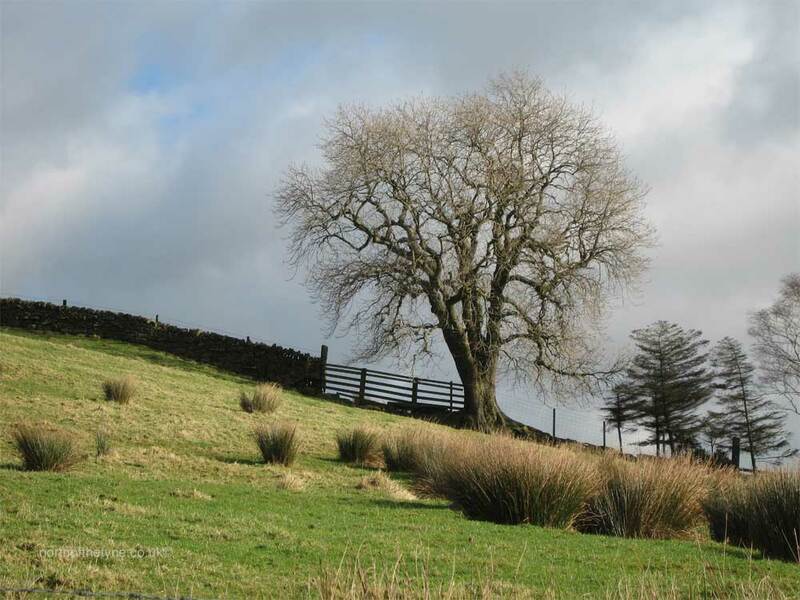 Relationships between local farmers and those who use the footpaths are generally very good and there is no reason why they should not remain so given reasonable attitudes and understanding. 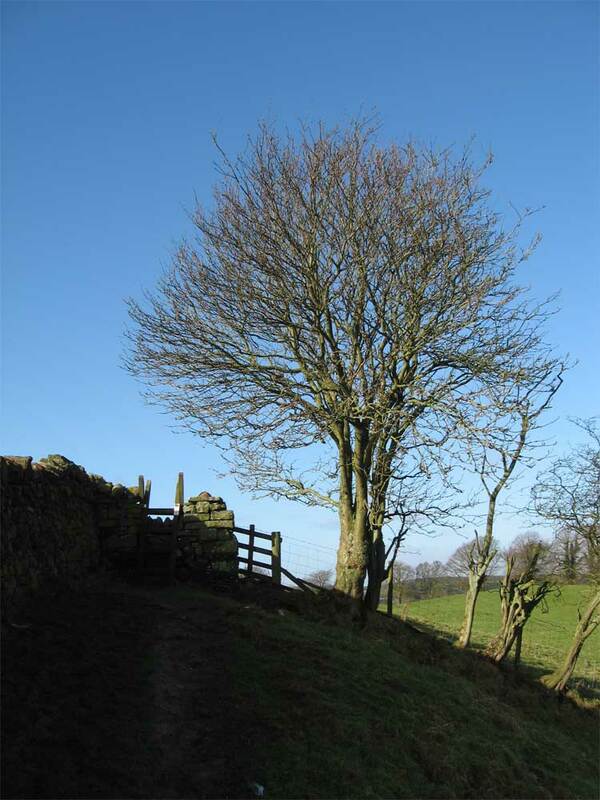 Remember that the countryside is the farmers' livelihood, so please observe the Country Code : keep to the paths; close gates after you ; and take care not to cause damage, or leave litter; keep your dog under control; and leave all wild flowers for others to enjoy. 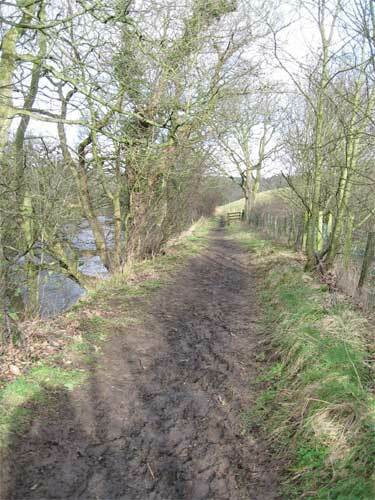 On Rights of Way - Dogs must be kept under close control, preferably on a short lead. 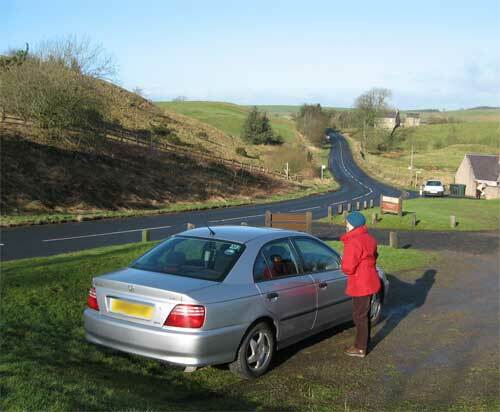 2) Local restrictions may include a ban on dogs.